To celebrate the release of Bobby's new Black Rust series, we're holding a contest for anyone giving a legitimate review, and giving away FIVE prizes of $50 Amazon gift cards! 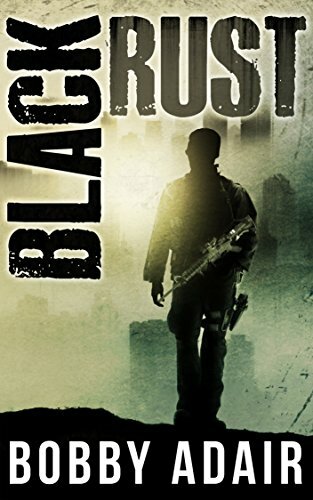 STEP ONE: To enter, read Black Rust, then provide an HONEST review on Amazon or wherever you purchased the book before midnight CST on Monday, June 27th, 2016. STEP TWO: After you submit an honest review, then enter for your chance to win in the form below. We will NOT use this information for any other purpose than to choose a winner. If you would like to add your name to the newsletter mailing list, please check the box in the form, but it is not required, nor will it decrease your chances of winning. We're also asking about your location because the prizes are Amazon gift cards. If you are able to purchase anything from a version of Amazon in your country, we can arrange a gift card (one purchased in the US cannot be redeemed outside the US). If you can't, we'll arrange an alternate prize. We'll draw for the winner on the morning of Tuesday, June 28th, 2016 and announce the winners on Facebook and email you with your prize! Here's an example of a review from Slow Burn 9...it's a verified purchase, which is super helpful to readers. Be sure to leave an honest review! This is optional—if you don't want us to know who you are, feel free to leave this blank. If we send a gift card from Amazon, we have to use your country's specific Amazon site. If not, we'll arrange something else! Gotta love the internet!